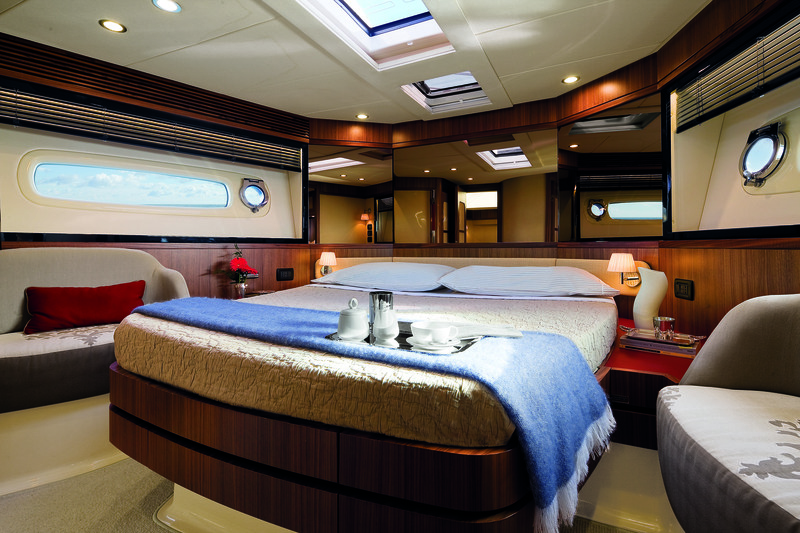 The brand new 50-foot model, created by the Turin shipyard in collaboration with the prestigious designer Cor. D Rover – has in fact received significant international recognition with the “European Powerboat of the Year 2011” award. The specialist jury acknowledged the innovative capacity of Magellano 50, as well as its impressive technological content designed to serve the owner efficiently while safeguarding the environment. 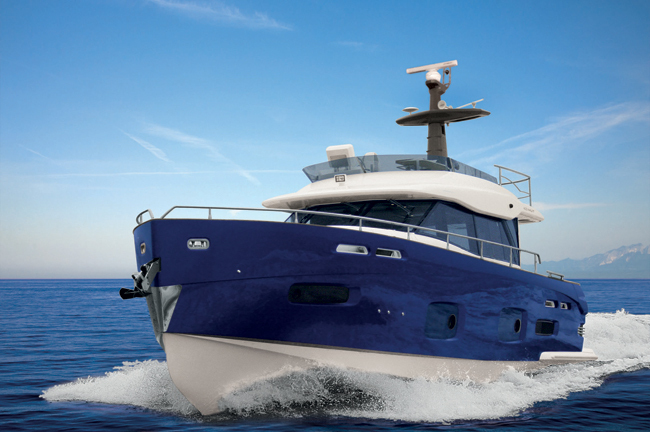 One of its main additional features is the new Easy Hybrid system, created by the Azimut-Benetti R&D department, which makes it possible to sail at speeds of up to 8 knots in complete silence using electric engines, switching to traditional propulsion methods with the greatest of ease. 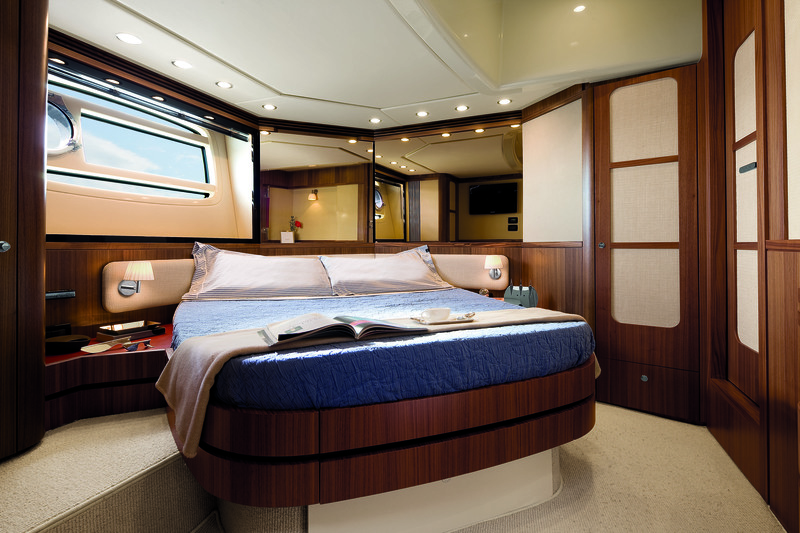 The exclusive “Dual Mode” hull, a new semi displacement design, makes switching from displacement systems to planing systems extremely easy, thus guaranteeing excellent stability and navigational comfort in addition to high hull reactivity and efficiency under all operating conditions. 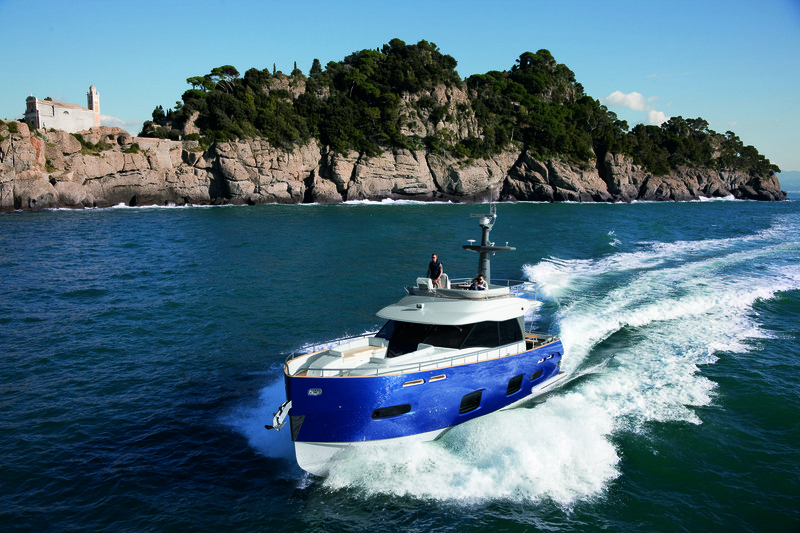 With Magellano 50, Azimut Yachts is offering not only a new model but also a new yachting dimension, once again asserting its great capacity for innovation as well as the design and manufacturing expertise which has placed the company at the forefront of the nautical industry throughout the world. 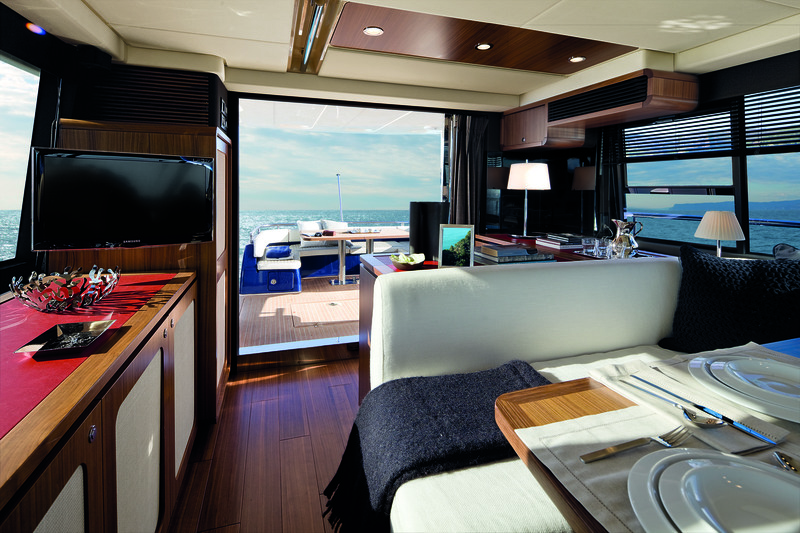 Azimut’s Magellano range has set the benchmark for eco cruising. 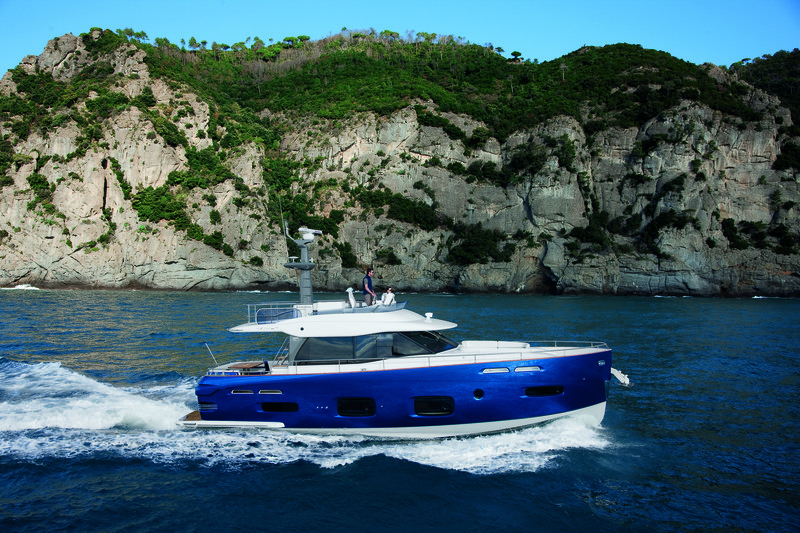 Innovation and clever design is the backbone of the Magellano 50 the baby brother to the Magellano 74 but both will be hard to beat. The competition should take note when looking at the future of eco-friendly long range cruising.